CHICAGO, December 6, 2018	(Newswire.com) - Since 2015, the American Association of Medical Assistants (AAMA) has worked collaboratively with the Mountain Plains FASD Practice and Implementation Center (Mountain Plains PIC) as part of a coordinated national effort to prevent fetal alcohol spectrum disorders (FASDs). Located at the University of Nevada, Reno’s (UNR) Center for the Application of Substance Abuse Technologies (CASAT), the Mountain Plains PIC has joined forces with the AAMA to prepare medical assistants to reduce alcohol-exposed pregnancies (AEPs) and intervene with patients who engage in risky or hazardous alcohol use. This not-for-profit health initiative shared by the AAMA and Mountain Plains PIC was supported by grant funding from the Centers for Disease Control and Prevention (CDC). The CDC recently awarded new funding that will allow for the continued collaboration between the AAMA and UNR through 2022. This new collaboration, known as the Medical Assistant Practice Improvement Collaborative (MA-PIC), will build on the work started by the Mountain Plains PIC by developing, delivering, disseminating, and evaluating training and materials for medical assisting students and practitioners on how to conduct alcohol screening and brief intervention (SBI). These activities will (1) teach medical assistants to assist their overseeing providers in identifying patients’ risky drinking behaviors and provide health education to change those behaviors, especially among women of childbearing age to prevent AEPs and FASDs, and (2) be important for promoting primary prevention and sustained practice change by medical assistants and their overseeing providers working in primary care settings. 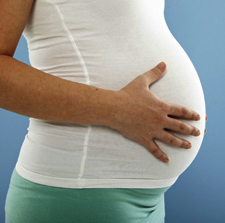 Prenatal alcohol exposure is a leading preventable cause of birth defects and developmental disabilities. The term FASDs is used to define the range of physical, mental, behavioral, and/or learning disabilities that can result from prenatal alcohol exposure. FASDs are completely preventable if a developing baby is not exposed to alcohol before birth. scope of practice that allows them to be trained as health coaches, provide counseling and education to reinforce physician advice, and follow up with the patient. Research has shown that using medical assistants to screen for alcohol use is more effective than provider-only care models, especially in areas where physician and other clinician shortages exist. Since physicians often lack time for alcohol screening and brief intervention, redistributing these tasks to medical assistants saves providers time, which in turn is beneficial to patients. To maximize efficiency, medical assistants can conduct screening as part of the routine patient intake, thereby increasing the chance of identifying risky drinking in patient populations. Making the provider aware of a patient's positive screening results facilitates follow-up and can improve integrated preventive care in health care teams. AAMA CEO and Legal Counsel, Donald A. Balasa, JD, MBA, says the collaboration demonstrates the important role medical assistants play in advancing the goals of this national health initiative. “CMAs (AAMA) are the key communication links between patients and providers and are uniquely positioned to motivate patients to avoid or stop dangerous alcohol consumption. The AAMA is fully committed to this initiative and honored to again [team up] with UNR/CASAT and the CDC to prevent AEPs and FASDs,” said Balasa. The MA-PIC is based at the University of Nevada, Reno’s (UNR) Center for the Application of Substance Abuse Technologies (CASAT), which is part of UNR’s School of Community Health Sciences. CASAT is a grant-funded center that develops and implements training and technical assistance products for individuals providing substance use disorder prevention, treatment, and recovery support services. UNR/CASAT has been funded by the CDC as an FASD Training Center since 2008 to impact individual- and systems-level health care practice by providing training for medical and allied health care professionals. The mission of the American Association of Medical Assistants (AAMA) is to provide the medical assistant professional with education, certification, credential acknowledgment, networking opportunities, scope-of-practice protection, and advocacy for quality patient-centered health care. Medical assistants are multiskilled members of the health care team who perform administrative and clinical procedures under the supervision of licensed health care providers. The CMA (AAMA) is awarded to candidates who pass the CMA (AAMA) Certification/Recertification Examination. The National Board of Medical Examiners serves as test consultant for the exam. The CMA (AAMA) credential must be recertified every 60 months by the continuing education or re-examination method in order to use the credential. Visit www.aama-ntl.org or call the AAMA directly at 800/228-2262. Visit www.casat.org or call the MA-PIC directly at 866/617-2816. Visit www.cdc.gov/ncbddd/fasd/training.html or call the CDC’s Information Line at 800/232-4636.